Synology has launched its first mesh router, MR2200ac, which supports Wi-Fi Protected Access, WPA3. 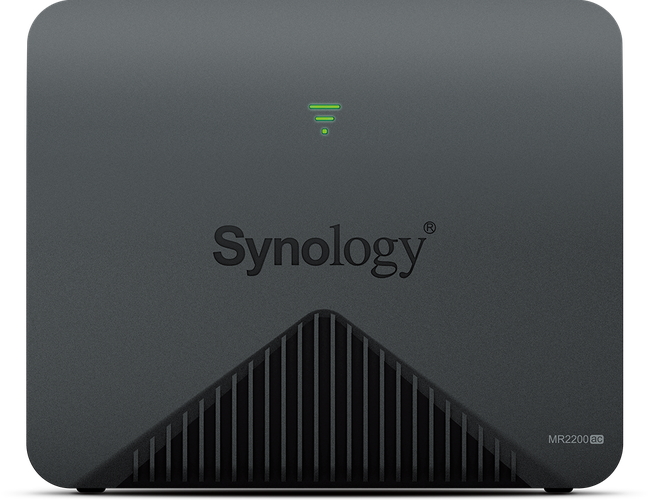 The MR2200ac provides fast and uninterrupted Wi-Fi, according to Synology. With its modular design, coverage can be expanded with additional units to create a mesh network. The number of connected devices world-wide is projected to increase 12% on average annually, from 27 billion in 2017 to 125 billion in 2030, according to IHS Markit. Based on the Qualcomm IPQ4019 quad-core system-on-chip, MR2200ac leverages a tri-band Wi-Fi design to eliminate dead zones and deliver broadband internet speeds to the furthest corners of a house or business. Everything in the network is managed by Synology Router Manager. "Qualcomm Technologies is committed to providing high-quality Wi-Fi with its innovative Qualcomm Mesh Networking Platform, which brings high security and advanced in-home connectivity to retail customers all over the world." said Gopi Sirineni, vice president, product management, Qualcomm Technologies. "Our ongoing work with Synology is designed to ensure that more consumers get to enjoy a virtually uninterrupted, fast and secure Wi-Fi experience for connected homes of all sizes." The Synology MR2200ac is available for now a recommended retail price of $184.